Well we are in the final stretch of 2016… It’s crazy to think how fast the year has gone, and I know we say it every year, but this year has flown by! We find our selves entering into a series of Christmas Parties and formal occasions which, unless you are Harvey Specter, dressing for can be stressful for any man! Am I going to be too formal, am I going to be too casual! 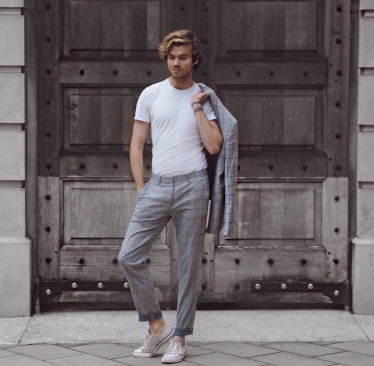 Here I have created a few looks to show how you dress up, or dress down classic formal wear, to suit any occasion (yes I know “suit” any occasion – bad joke but hey, I found it funny). Here I have taken a Classic Skinny Suit from Asos. Now I am not one to shy away from a bit of a pattern as I’m sure you now know, so this sky blue check was perfect! 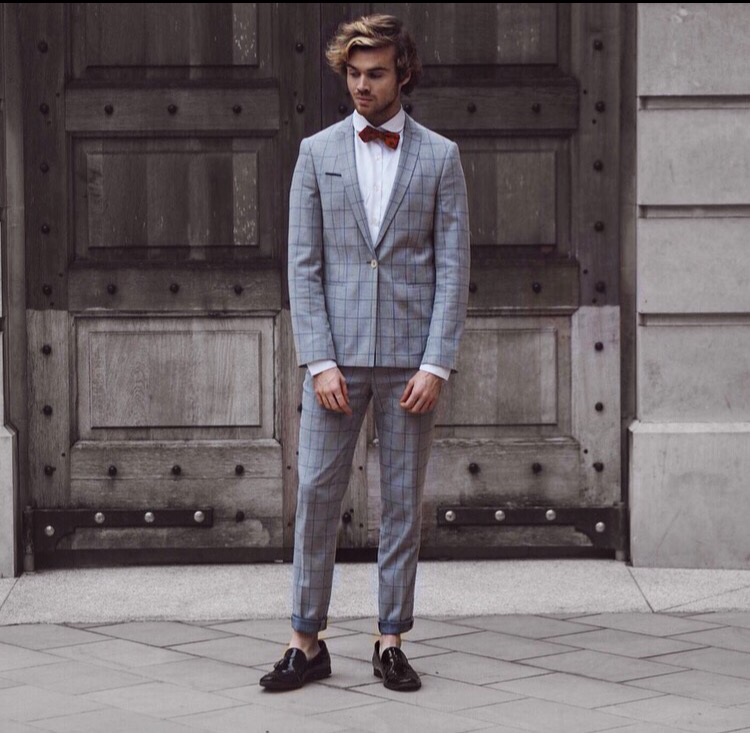 There are two ways to wear this suit… Embrace classic formality, or dress it down it create a modern day cool look. Taking a Hawkins and Shepherd shirt and pairing it with a bold Ralph Lauren Bow tie it automatically creates a modern day Gatsby, if I do say so myself. Hawkin and Shepherd shirts are wonderful in making any gent look smart with their amazing structure creating a beautiful silhouette on any man! Hawkins and Shepherd are my go to for formalwear shirts, taking inspiration from the glamour of the 1920s, giving a subtle twist to the classic British look, with the suited gentleman as an image to aspire to, and also play with. However you do not need to go this formal to still look smart and chic. Throughout 2016 we have seen men hitting the red carpet with suit jackets and trousers by pairing them with a plain tee, relaxing the look while maintaining masculine style. Complete the look with a pair of simply converse to really bring it into 2016 look books! 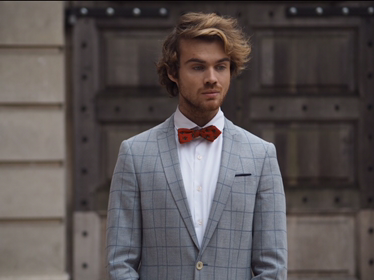 I love this red bow tie, I need one just like this! Any idea where I can get one from? It’s so lovely! Ralph Lauren have loads to choose from! Hello Jamie, I love your style and I try and base mine around the same- but I’m struggling to look smart in winter with all the bulky scarves, jackets and coats- any wardrobe adobe for looking smart but still being warm? ?